Ethernet is a technology for wired data networks similar to LAN and enables data exchange in the form of data packets between LAN connected devices. At present rates of 10 megabits / sec, 100 Mbit / s (Fast Ethernet), 1000 megabits / s (Gigabit Ethernet) to 10 Gb / s are available. In traditional expression, the LAN extends only over a building; Ethernet operates by fiber and also has a limited range. Ethernet protocols include provisions for cable and connector types and forms of communication. In the OSI model Ethernet lies in both the physical layer (OSI layer 1) and the data linked layer (OSI layer 2). Ethernet corresponds to IEEE 802.3 standard. 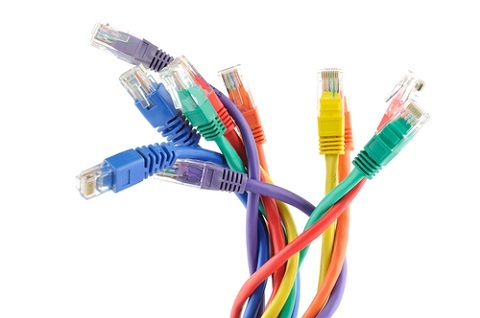 From the 90’s, the most widely used LAN technology is Ethernet. Ethernet is the basis for network protocols such as AppleTalk , DECnet , IPX / SPX or TCP / IP form. Previously we wrote about the difference between WiFi versus Ethernet. In the first Ethernet implementations, the entire communication is made via a common bus, which was implemented in the form of a coaxial cable. At this, all workstations via T-piece are connected. Any information that is sent by a computer was received by all. Ethernet connected devices must constantly filter out information that is not intended for them. The safety of the operation is based on trouble-free availability of data and services in all connected systems. Intentional or accidental abuse must be exposed in an Ethernet environment by analysis of the data traffic ( LAN analysis ). Different Ethernet types differ in transmission rate, the types of cable used and the line coding. The protocol stack is therefore working identical for most of the types. 10 Mbps Ethernet transmits data practically at 20 Mbps. This doubling of the signaling rate suppress the DC voltage effectively. 10-Mbps Ethernet with coaxial cable was also a frequently used, which can be extend network by 2.5 km. In 1000-MBit/s-Ethernet (including Gigabit Ethernet, GigE) there are essentially two different Coding variations. 10-Gbit/s-Ethernet-Standard brings ten different transmission techniques, eight for fiber optic cable and two for copper cable. This Article Has Been Shared 3870 Times! ARM Architecture is currently most widely used Processor architecture for embedded and mobile devices. But they are being in consideration for the servers too. Semantic Web not only brought with RDF, in conjunction OWL, RDF, SPARQL, GRDDL, RDFa, RIF, GeneOntology (GO) and Medical Subject Headings (MeSH) are in use. What is SDK (Software Development Kit)? What is SDK ? You often come to this terminology, ever wondered what this SDK, which is an abbreviation of Software Development Kit stands for ? Cite this article as: Abhishek Ghosh, "Ethernet : An Elaborated Article," in The Customize Windows, August 6, 2012, April 19, 2019, https://thecustomizewindows.com/2012/08/ethernet-an-elaborated-article/.